One factory can produce 60 million mosquitoes per week that are genetically engineered to destroy other mosquitoes. Dengue fever is an alarming disease. According to World Health Organization estimates, 390 million dengue infections occur annually, with almost 25 percent of those severe enough to require hospitalization. The global incidence of the disease has rapidly increased in the recent years, and now, roughly half of the people in the world are at risk of catching it. While treatable if caught earlier enough, the most challenging aspect of dengue fever has traditionally been its method of transmission. Along with other tropical diseases like Zika, yellow fever, and chikungunya, the dengue virus is carried by mosquitoes. These insects thrive in the world’s tropical areas, which are where 2.5 million, or 40 percent, of the global population lives. Instead of focusing on treatment methods, scientists from Brazil have a novel plan to eradicate the virus by targeting the diseases carriers themselves. Together with a British insect control firm, these scientists plan to release millions of factory-bred mosquitoes, named OX513A, into the wild to mate with the females of the disease-carrying mosquito species. Through genetic engineering, the offspring of these interactions would have a defect that would shorten their lifespan. The factory-bred mosquitoes themselves also have the genetic defect, so they would die soon after mating. Oxitec, the firm responsible for developing and breeding OX513A, already has a plant in Piracicaba, a town northwest of Sao Paulo, where it could produce over 60 million of these genetically engineered mosquitoes in a week. Even though the firm doesn’t yet have a sales permit from Brazil’s Anvisa health authorities, Piracicaba signed a four-year, $1.1 million deal with Oxitec to have the firm release 10 million of its mosquitoes into the town each week. Earlier tests by Oxitec showed a 90 percent decrease in one disease-transmitting species when OX513A were released in the Cayman Islands. 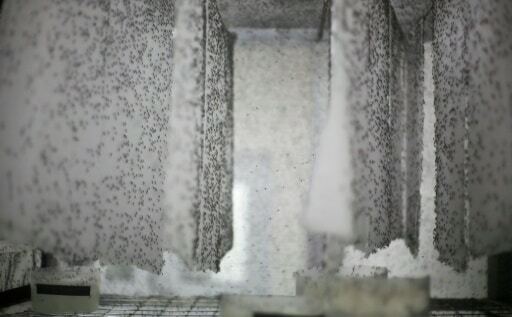 This shows the efficacy of these factory mosquitoes and offers a proof of concept for other scientists looking to eliminate disease carriers through genetically engineered means. “Eliminating the vector, we eliminate the disease,” Oxitec biologist Karla Tepedino told AFP. As with any studies involving genetic modification, there are some concerns. What will be the longterm effects of introducing these genetically modified organisms into the wild? Will the mosquitoes evolve to be even more difficult to manage? Eliminating diseases like dengue fever and Zika through this method could give us a fighting chance against problems that are taking lives today, but before this strategy is put into widespread use, the immediate benefits will need to be carefully weighed against the potential for future problems.